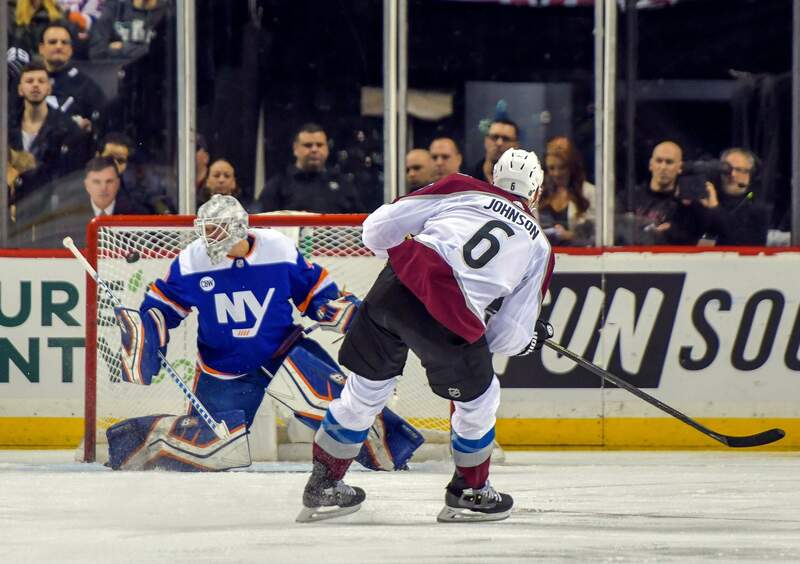 Colorado Avalanche defenseman Erik Johnson scores past New York Islanders goaltender Robin Lehner during the second period of Saturday’s game in New York. 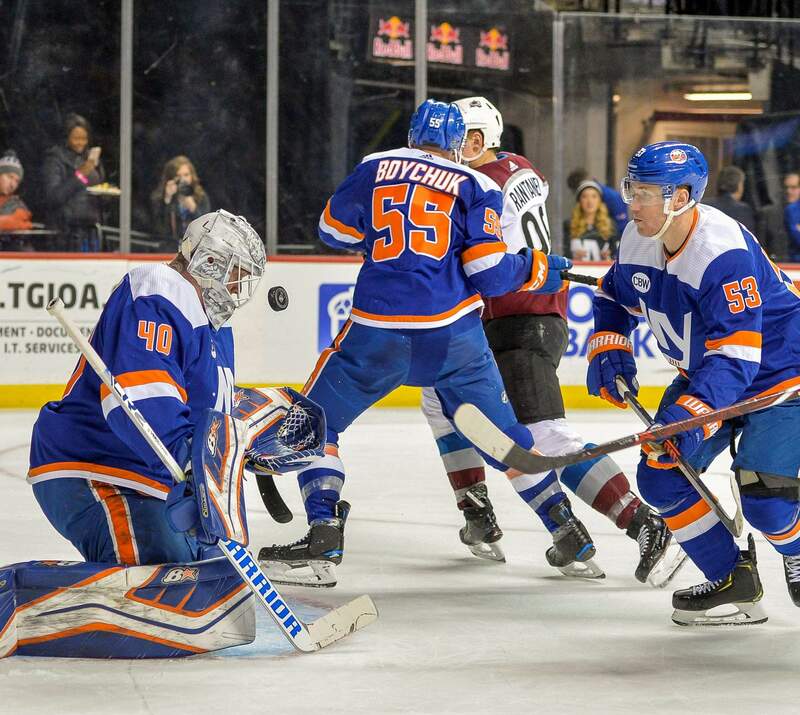 New York Islanders goaltender Robin Lehner blocks a high shot during the first period of an Saturday’s game against the Colorado Avalanche in New York. 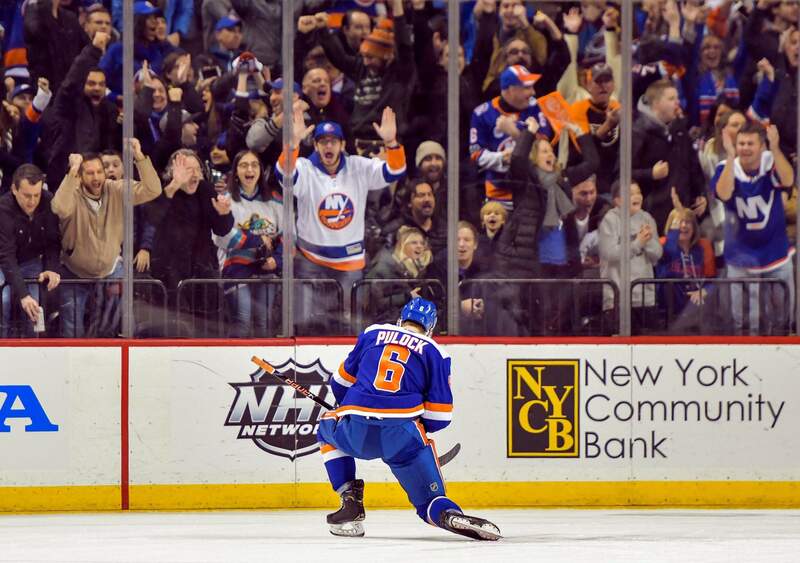 New York Islanders defenseman Ryan Pulock celebrates after scoring in the third period of Saturday’s game against the Colorado Avalanche in New York. NEW YORK – After rallying from two goals down early in the second period to take the lead in the third, the New York Islanders didn’t get discouraged when Colorado tied the score late. They kept their focus and beat the struggling Avalanche in overtime. NOTES: Colorado also went 0-4-2 from Dec. 21 to Jan. 2. ... Soderberg has eight goals and four assists in 15 games since Dec. 31. ... Johnson has two goals and two assists in his last three games. ... The Islanders swept the season series after winning the first meeting, 4-1 on Dec. 17 at Denver. ... Pulock now has six points in his last four games. ... Nelson has points in four straight games, totaling four assists and five points in the stretch. ... Lehner is 12-2-1 in his last 15 games. UP NEXTAvalanche: At Boston on Sunday to finish a three-game trip.